Los Angeles has long been considered the entertainment capital of the world. For decades, aspiring actors and actresses flocked to Tinseltown hoping to make their mark. But software developers? Not so much. Unlike its sister city to the north–San Francisco–Los Angeles has never been known as a technology hub. Until now. These days, we’re seeing something of a trend: As the entertainment industry moves away from the traditional model of large studio productions and towards smaller content plays, the LA landscape is turning digital. It’s precisely that shift that’s driving many entrepreneurs, venture capital, and tech talent to so-called “Silicon Beach” over Silicon Valley and SF. Is SF hurting? Definitely not. However, companies are smart to set up shop in Los Angeles. Instead of having to compete for talent and investment dollars in San Francisco, they can be the big fish in a much smaller pond in LA. As for top tech talent? They benefit, too, with an increasingly diverse array of companies to work for, many of which offer incentives like robust relocation packages and flexible work schedules to entice candidates to relocate to this emerging tech community. 1. Snapchat. The company that made headlines after turning down a $3 billion offer from Facebook is primed for growth. Just a couple of weeks ago, they gained further momentum with the announcement of disappearing text messages and video chat. 2. SpaceX. When Elon Musk is the founder of your company, it’s safe to say the future looks bright. With the ultimate goal of putting people on other planets, SpaceX has some seriously awesome plans for the future. Guess where they’re launching them? You guessed it–Los Angeles. 3. Spokeo. Stanford graduates started this bootstrapped and profitable company with the goal of reuniting family, friends, and old flames, making it easier to stay connected in an increasingly digital world. 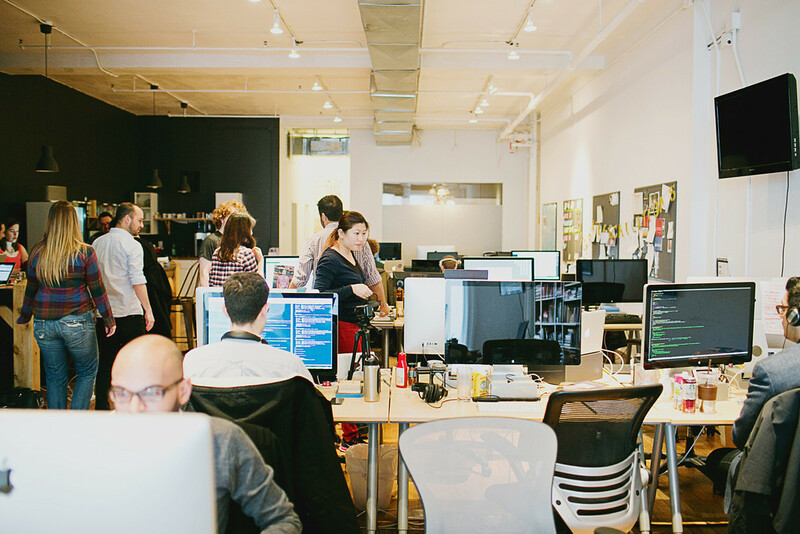 “Spokeons” enjoy a super flexible work environment with plenty of perks. 4. NastyGal. CEO and founder Sophia Amoruso was onto something when she launched the eBay store that eventually served as the basis for her e-commerce company, NastyGal. After a stage of incredibly rapid growth, she’s set up company headquarters in 50,000 square feet of office space in downtown Los Angeles to remain close to vendors and recruit top talent in the industry. 5. Tinder. Created by entrepreneur Sean Rad at a Los Angeles incubator, dating app Tinder has seen enormous growth in the last year. So much so that the original dating website, Match.com, is taking note: The company duplicated the Tinder “swipe” functionality in their last mobile app redesign to compete with this latest dating upstart. 6. Rubicon Project. This automated advertising platform is used by more than 700 premium publishers around the world. While they certainly have a compelling product, what’s even more interesting is their impressive effort to build and sustain company culture. 7. TrueCar. With a simple but important mission–to make the process of buying a car less painful–this 300 person company has set up shop in Santa Monica and uses that fact (and rightfully so) to attract the best and the brightest. 8. Demand Media. The content and social media company that was once accused of polluting search results has gone on to grow despite its detractors. After having gone public in 2011, they’ve continued to have a presence in Santa Monica. 9. Whisper. Having raised $60 million since launching in 2012, Whisper is positioned well for growth. The anonymous social network lets people share secrets, post confessions, and now, curate the content they see in their feed so it’s easier to find posts that interest them. It seems to be a recipe for success–the average Whisper user spends thirty minutes on the app each day, accessing it about ten times per day in total. 10. Hired. You didn’t think we’d leave ourselves off this list, did you? 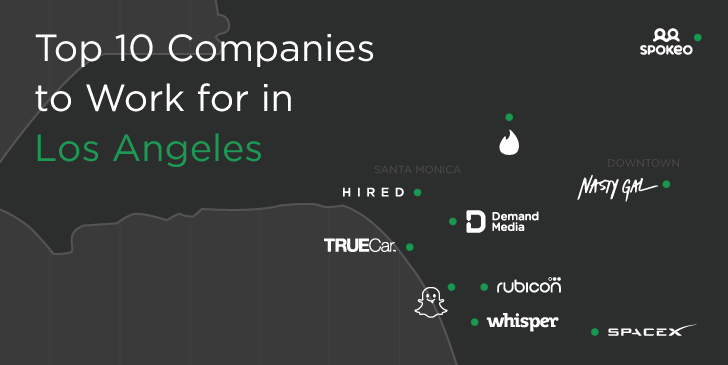 Hired may be based in San Francisco, but we’re well aware that LA is where it’s at. We threw open the doors of our new Santa Monica office just this month–two months after raising our $15 million Series A–and our team is already hard at work connecting scores of LA companies with top local tech talent. Certainly, Los Angeles will always have its roots in entertainment–that goes without saying. But the latest influx of startups and venture capital signals the dawn of a new era of tech and digital dominance for the city. As always, those who take the risk earlier on and choose LA over SF also stand to make the biggest gains down the line. Fortunately for early adopters and late-comers alike, the future of Los Angeles looks bright. Looking for a job in Los Angeles? Hired has you covered. 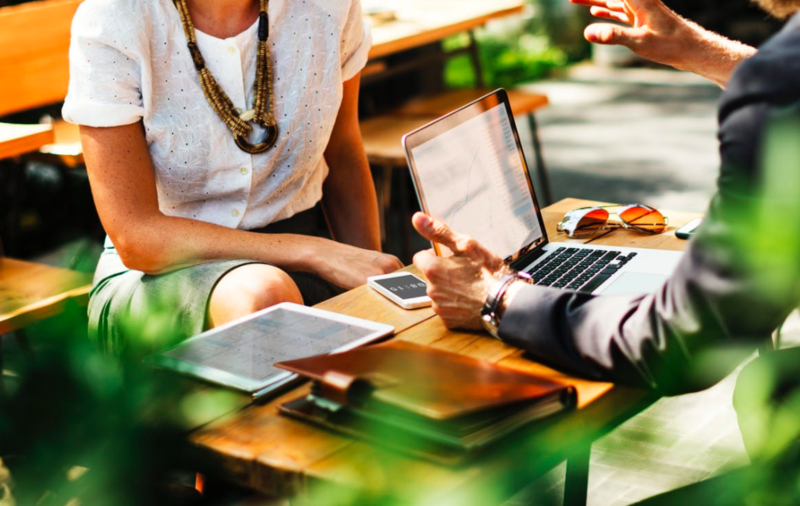 Get 5-15 offers to interview with Los Angeles companies–salary, equity, and position information before you even interview. 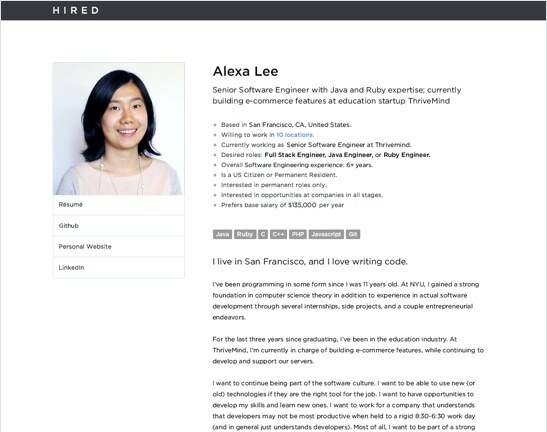 Read more about Hired LA.